« Caroline Boxed Set Giveaway! 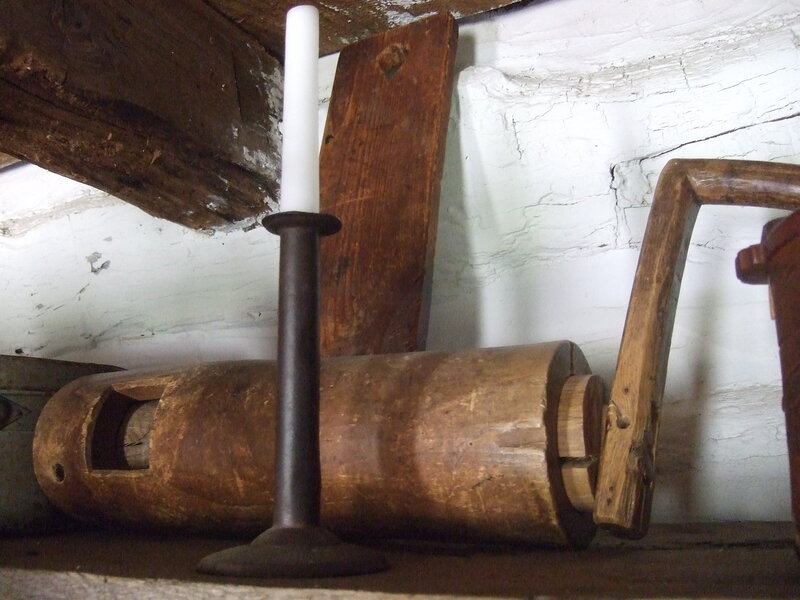 This entry was posted on October 28, 2013 at 10:55 am and is filed under FOODWAYS, Heritage of Darkness, Old World Wisconsin, Vesterheim Norwegian-American Museum. You can follow any responses to this entry through the RSS 2.0 feed. You can leave a response, or trackback from your own site. Oops. Lost the rest of your post and now I don’t know what a lefse pin is! When I hit “Read more of the post” I got an error message. Wonderful! 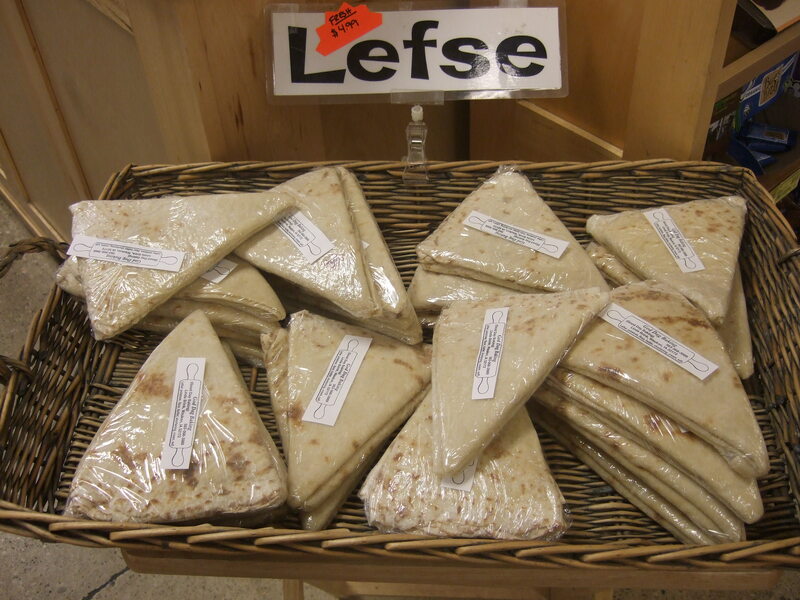 I haven’t had lefse in years, but I would love to try it again. I will have to search around northern California and see if I can find a source. Thanks for the walk down Memory Lane. Ruth, what a wonderful story. 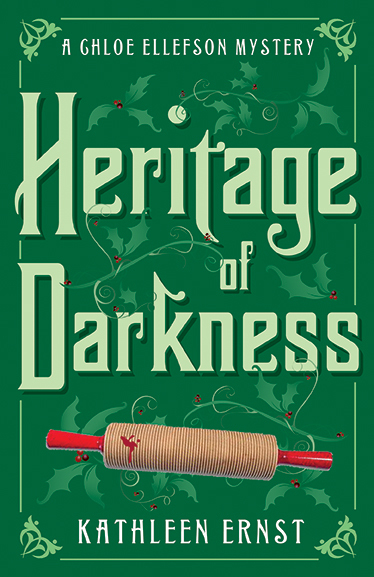 I often lament news that such traditions are disappearing, so I loved hearing that you and your friends have brought back the tradition! What church is it? Also, enjoy the cookies. I had a hard time getting rosettes right–they always stuck to the iron–but I think the secret is keeping the iron hot. I made some successfully earlier this fall, and hope I can duplicate the effort! 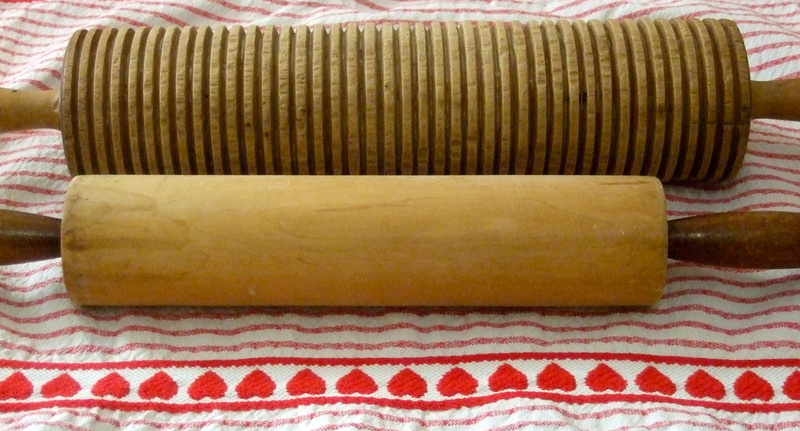 Lefse-making has been passed down to my granddaughter, Holly, who has mastered the art of making this delicacy. She inherited my lefse plate and all the important tools which I purchased from Dregne’s in Westby, Wisconsin!! I bet Holly will cherish those tools all her life! 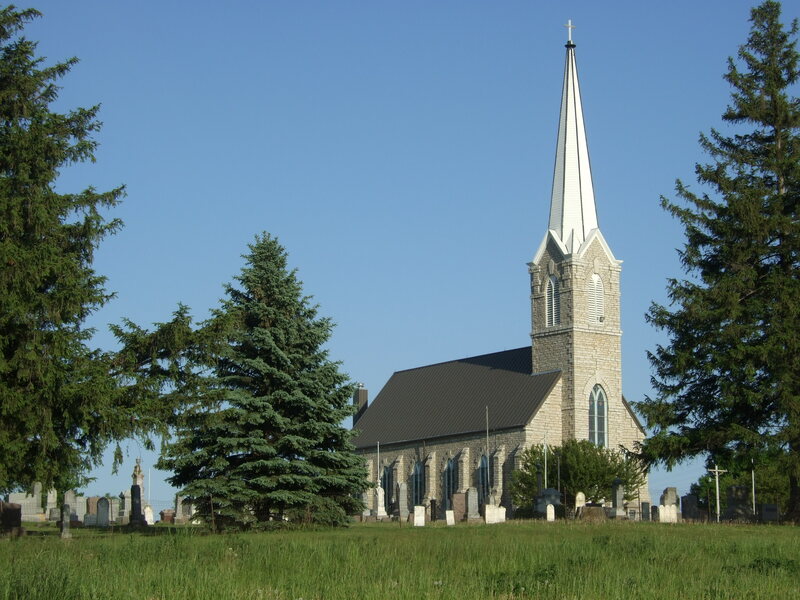 That is our Saviour’s Lutheran Church in Merrill, WI. 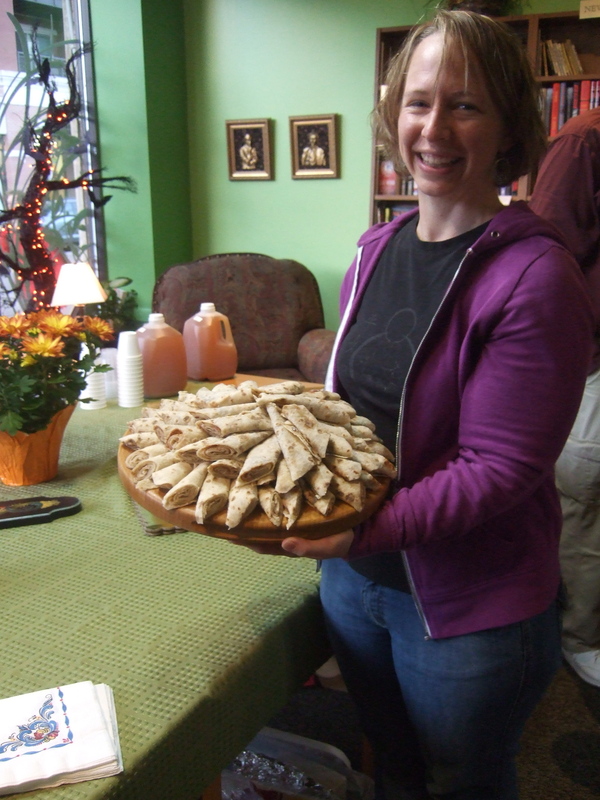 We are rolling lefse today and tomorrow, making meatballs November 15. There is always next year, also. 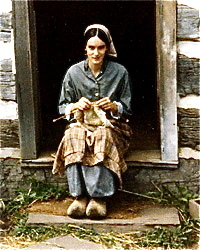 I’m packing up for a trip to Decorah, so I won’t be able to visit, but I’m sending good wishes! 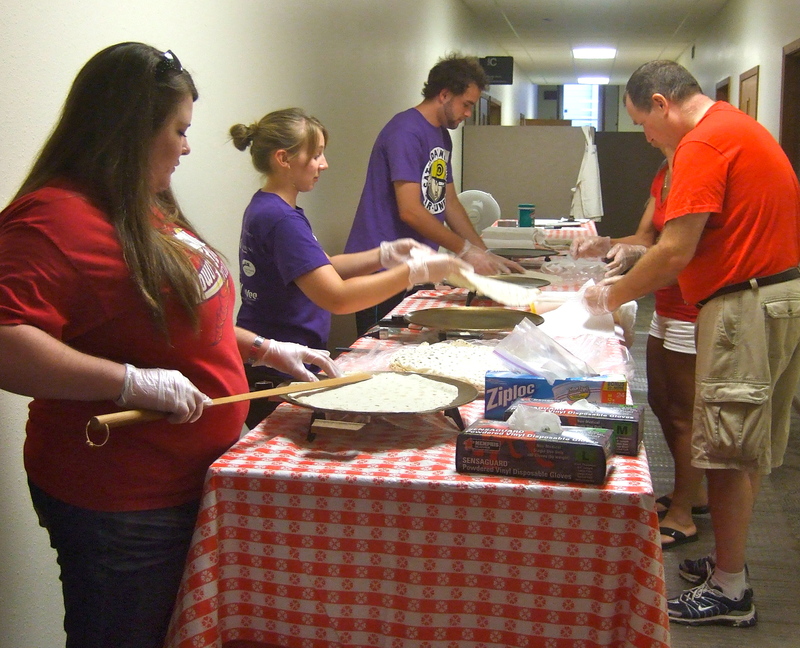 Another lefse story: the Norske Nook cafe in Osseo, WI serves lefse wraps along with their famous homemade pies. Love this post. When I visited in SW Norway I expected potato lefsa and was informed by friends I stayed with that in their region they prefer “Vestlands Lefsa”, a wheat-based lefsa. Either way, I loved it, and your photos/background are such a good read. Thanks. 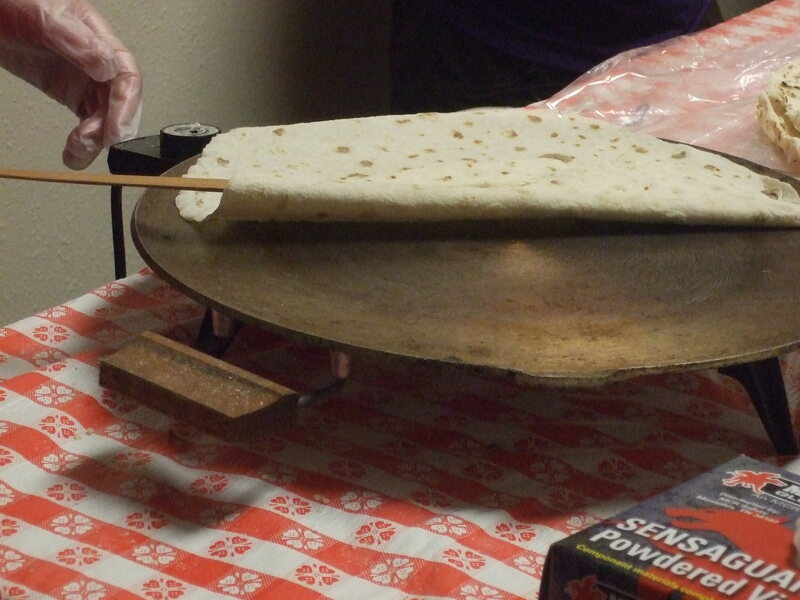 I learned one way ot making lefse years ago, and have only begun to learn all the fine distinctions. 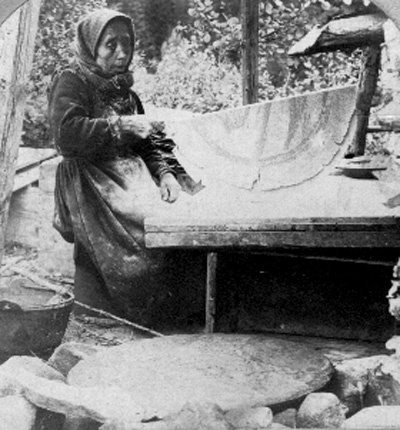 Some involve process, such as whether the potatoes should be mashed or riced. Interesting distinction you discovered on your trip. Thanks for sharing! 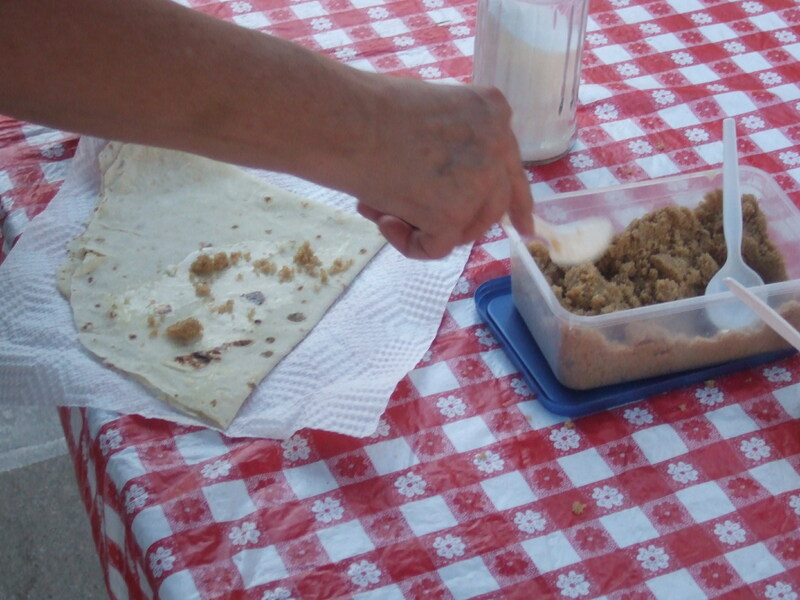 My mom learned to make Lefse with her mom. It has always been around for holidays. I myself have never made it. 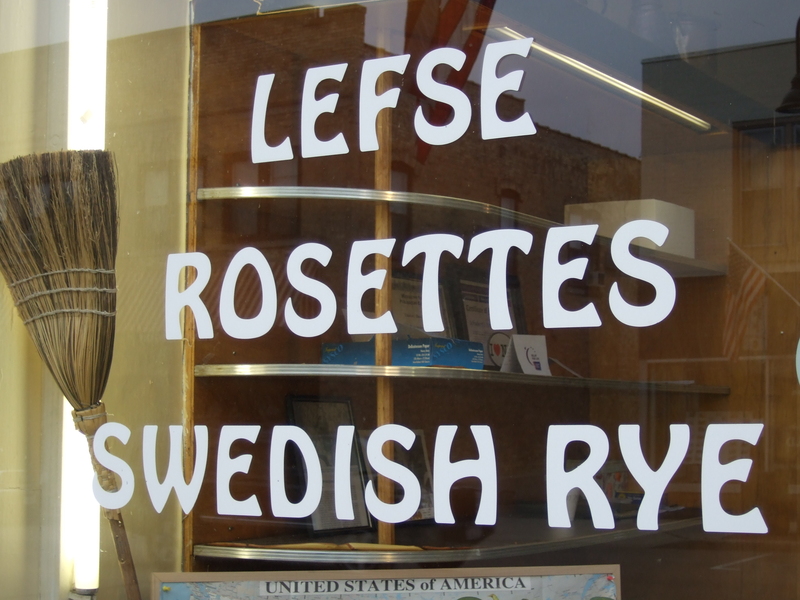 As a kid I didn’t really care for Lefse but now I like it with just butter on it. No one in our family had ever put sugar on it until recently. The kids love it that way!